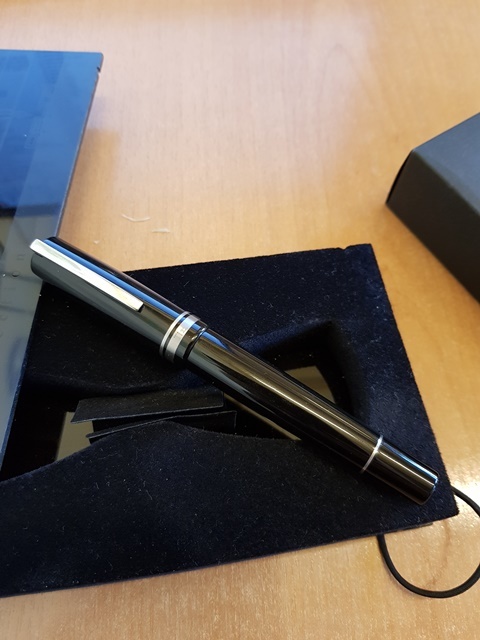 Beautiful and rare pen, with an astounding titanium nib. 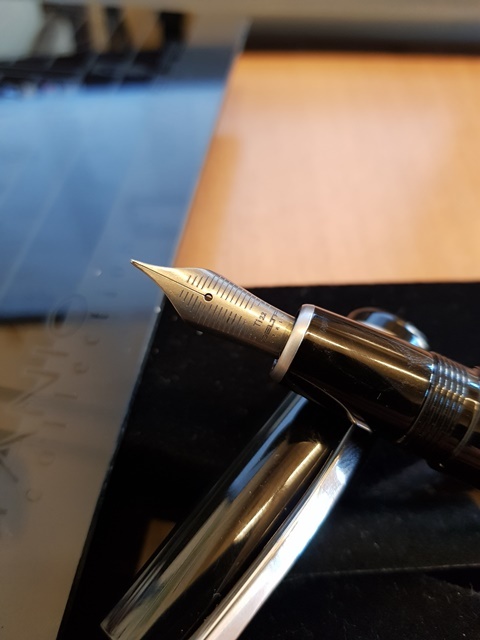 The nib is very flexible, with a nice line variation (from F to BB). 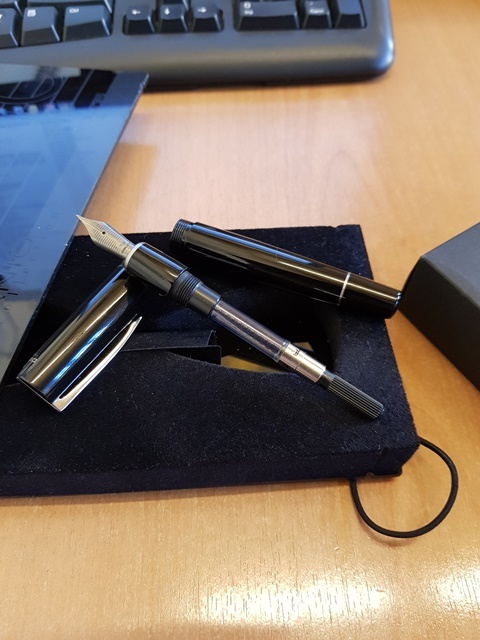 New never used (inked only for testing).